In 1967, just weeks before graduation, Donna left for New York where she joined the psychedelic blues rock band Crow as lead singer. It was a move influenced by Janis Joplin’s life story that she dropped out of school, she later stated. After they were passed on by a record label that was only interested in the band’s lead singer, the band broke up and Summer stayed in New York to audition for a role in the counterculture musical, Hair. She landed the part of Sheila and agreed to take the role in the Munich production of the show, moving to Munich, Germany after getting her parents’ reluctant but not needed approval. She stayed with the musical for the contract year but stay for many years in Europe and eventually became fluent in German, singing various songs in that language, and participated in the musicals Ich bin ich (the German version of The Me Nobody Knows), Godspell and Show Boat. Whilst in Munich she sang as a member of the pop group FamilyTree and also sang as a studio session singer and in theatres. Between 1968 and 1971 she recorded several singles, still using her birth name Donna Gaines and then moved to Vienna, Austria, and joined the Vienna Volksoper. She provided backing vocals for producer-keyboardist Veit Marvos on his Ariola Records release Nice to See You, credited as “Gayn Pierre”. Several subsequent singles included Donna performing with the group, and the name “Gayn Pierre” was used while performing in Godspell with Austrian actor Helmuth Sommer during 1972. She married Helmuth Sommer in 1973 and gave birth to their daughter (called Mimi) Natalia Pia Melanie Sommer, the same year. She then anglicized her husband’s name Sommer to Summer and became a disco sensation. In the wake of “Love to Love You Baby,” producing albums (as opposed to just singles) became an important forum for Summer and her producers. The 1976 follow-up Love Trilogy contained another side-long suite in “Try Me (I Know We Can Make It Work),” and demonstrated Moroder and Bellotte’s growing sophistication as arrangers with its lush, sweeping strings. Four Seasons of Love, released later in the year, was a concept album with one track dedicated to each season, and 1977’s I Remember Yesterday featured a variety of genre exercises. Despite the album’s title, it produced the most forward-looking single in Summer and Moroder’s catalog, the monumental “I Feel Love.” Eschewing the strings and typical disco excess, “I Feel Love” was the first major pop hit recorded with an entirely synthesized backing track; its lean, sleek arrangement and driving, hypnotic pulse laid the groundwork not only for countless Euro-dance imitators, but also for the techno revolution of the ’80s and ’90s. It became Summer’s second Top Ten hit in the U.S., and she followed it with Once Upon a Time, another concept album, this one retelling the story of Cinderella for the disco era. Summer’s albums were selling well, bolstered by her popularity in the dance clubs, and she was poised to become a major pop hitmaker as well. Her acting turn in the 1978 disco-themed comedy Thank God It’s Friday produced another hit in “Last Dance,” which won her a Grammy for Best Female R&B Vocal (as well as an Oscar for songwriter Paul Jabara). Doubtlessly benefiting from the added exposure, the double-LP set Live and More became Summer’s first number one album later that year. It featured one side of new studio material, including a disco cover of the psychedelic pop epic “MacArthur Park” that became her first number one pop single early the next year. Her 1979 double-LP Bad Girls featured more of her songwriting contributions than ever, and went straight to number one, as did the lusty singles “Bad Girls” — co-written with husband Bruce Sudano — and the rock-oriented “Hot Stuff,” which made Summer the first female artist ever to score three number one singles in the same calendar year. Her greatest-hits package On the Radio also topped the Billboard 200, the first time any artist had ever hit number one with three consecutive double LPs; the newly recorded title track became another hit, and Summer’s duet with Barbra Streisand, “No More Tears (Enough Is Enough),” became her fourth number one single. At the peak of her success, Summer decided to leave Casablanca, and became the first artist signed to the new Geffen label. Sensing that the disco era was coming to a close, Summer attempted to modify her style to include more R&B and pop/rock on her first Geffen album, 1980’s The Wanderer; the album and its title track were both hits. Not wanting to alienate her core audience, Summer returned to pure dance music on an attempted follow-up; however, Geffen deemed I’m a Rainbow not worthy of release (it was finally issued in 1996). Instead, Summer ended her collaboration with Moroder and Bellotte and teamed up with Quincy Jones for 1982’s Donna Summer. “Love Is in Control (Finger on the Trigger)” was a significant hit, but none of its follow-ups did very well. With producer Michael Omartian, Summer moved back into post-disco dance music and contemporary R&B with 1983’s She Works Hard for the Money. Its title track was another crossover smash, given an extra boost by its highly choreographed video, and was nominated for multiple MTV Video Awards. Summer’s prime then came to a close. Despite winning a gospel Grammy for “Forgive Me,” Summer’s 1984 follow-up, Cats Without Claws, flopped, as did the 1987 effort All Systems Go. Hiring the British production team of Stock, Aitken & Waterman, Summer scored her last major mainstream success with the 1989 Top Ten single “This Time I Know It’s for Real,” from the album Another Place & Time. Around the same time, she began denouncing her earlier, “sinful” disco material. Mistaken Identity, released in 1991, effectively killed her momentum and was her lone proper studio album of the decade. However, she did make some noise in clubs with “Melody of Love,” from the excellent 1994 retrospective Endless Summer, and reunited with Moroder for the 1997 non-LP single “Carry On,” which won the inaugural Grammy for Best Dance Recording. Summer subsequently signed a deal with Sony, which primed her for re-establishment with 1999’s VH1 Presents: Live and More Encore!, which featured the new song “I Will Go with You (Con Te Partiro),” another number one club hit. After a couple additional non-album singles, she released the energetic and eclectic Crayons. Four of its singles scaled to the top of the dance chart. Summer remained intermittently active with concert and TV appearances during the next several years, and released “To Paris with Love,” her final chart-topping single, in 2010. 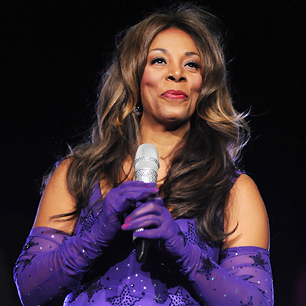 After battling lung cancer, which she claimed came as a result of the toxic fumes released during the World Center Twin Towers collapse, Donna Summer died at her home in Naples, Florida on May 17, 2012. The following April, she was inducted to the Rock and Roll Hall of Fame.